January 3, 2013 By Paula 62 Comments This post may contain affiliate links. Hey Hey Guys! First off I want to say thank you for taking the time to read this post. I am Joshua Zamora from ZamuraiBlogger.com and today I want to share with you how I use YouTube to make passive income on a monthly basis, get daily subscribers and drive tons of traffic to my websites. That is just the beginning of why I love using video to drive traffic. Another huge reason is the fact that Google owns YouTube and because of that YouTube Videos rank on the first page of Google WAYYYY faster then a brand new website. I personally have been able to rank a video on the first page of Google as quick as 15 minutes after uploading to YouTube AND after my sites got hit by the Penguin update, I was able to use video to quickly recover my income. I want to show you the power of what YouTube can do for you on a monthly Basis. I don’t do this to show off but to prove to you that video marketing WORKS and if done correctly can provide a nice income stream as well as a nice flow of daily subscribers. Before I get into exactly how I use YouTube to make passive income I want to address one very important thing that I feel keeps people from getting into video marketing – YOU DO NOT need to be in front of the camera to start using video to drive traffic to your website. A lot of people think they need to actually be in front of the camera but in fact very few of my videos ever show my face. Outsource to Fiverr.com and let them be the face of the video. As you can see none of these ever show my face. Once you get over the fact that you think you have to be in front of a camera to make videos I think it becomes a lot easier to realize that video marketing should be a big part of your traffic and lead generation. When it comes to deciding what keywords to target with video it does work a little different then the regular keyword research you would do for a website. The first thing I usually do is open up the Google Keyword tool and start digging for keywords that get 500+ searches a month. I tend to either bundle up a few similar keywords that add up to 1,500+ searches per month and rank one video for those keywords. My favorite kinds of keywords to target are review keywords. The reason for that is those people are already deep into the buying cycle and are just looking for information to support their reason for buying the product or service being reviewed. If you can put your video in front of them that justifies why they should buy the product then you have a bigger chance of making a sale then a more general type keyword. Focus on buyer keywords or if you are going to be building a list then focus on keywords that identify a problem and your free gift provides the solution. I tend to stick with keywords that get 500+ searches per month. Once I find a few keywords that get good search volume its time to analyze the competition. This is a bit different then what you would do for analyzing the competition for a website. The first thing I do is simply Google my target keyword and see if there’s a video currently ranking on the first page of Google. If there isn’t then that’s a great sign. If there are no videos on the 2nd or 3rd page of Google that’s an even better sign and usually I will proceed with targeting that keyword. Is their on page SEO up to par (we will get into this later on) Are they clearly trying to rank for my keyword? How many back links does the video have? If it’s 100 or less that’s another good sign. If the criteria I described above matches then I go ahead and proceed with the keyword. The only time I will most likely not go after a keyword is if there are 3-4 videos showing up on the first page and they each have over 50k views and 100+ back links. I could realistically outrank them eventually but I like to see results fast and I know there are plenty of keywords out there to target so there is really no reason to go after a keyword with a lot of competition. Once we have our keywords picked out and determined that the competition is low enough for us to go after its time to create your video. I already covered earlier in this post the 3 types of videos I use so I’m not going to get into it here. That is it! Most people try and sell the product when what they need to be doing is selling the click. I rarely EVER do much selling on a video. Instead I have 3-4 Call to Actions in the video and sell the click. That simple 3 step formula will help you so you never have a video drag on for more then you need it to. Let’s continue…. You have your video ready to upload. Once that is done you can go ahead and upload your video. Once the video is uploaded you want to make sure you write a short 200-300 word description about the video and include your keyword at the very beginning of the description. The last step to setting up your on page SEO is adding your tags. Here I would just simply enter your target keywords one at a time. It used to be that you had to put your tags in quotation marks but YouTube recently made a change so all you have to do now is enter your tag and hit “enter” after each one. Now that your video is uploaded and properly optimized for your target keyword it is time to start sending some back links to the video to get it ranking quickly. Sometimes if the competition is fairly low simply doing the proper on page SEO is enough to shoot your video to the first page. But I’m going to assume there is some level of competition, which is going to take a few back links to get your video ranking. There is a simple formula to back linking that I follow to get my videos ranked quickly. The good thing about piggy backing off of Youtube’s authority is that you don’t have to worry about the velocity in which your videos get’s back links. You can literally send all those types of links to your videos within a couple days and not have to worry about any penalties from Google. 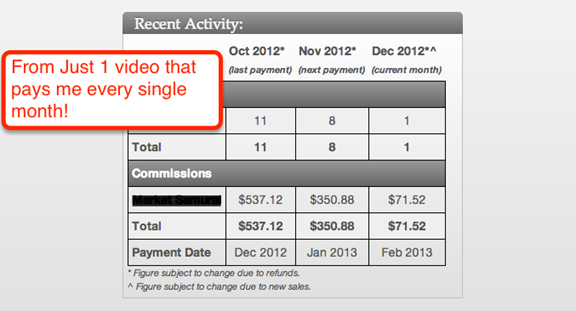 That is why I love video marketing you can see results within just DAYS of uploading. By following the step-by-step guide I have just outlined I usually rank a video within a maximum of 2 weeks of uploading. But on average I hit the first page within a few days. As you can see using video marketing to make sales, get subscribers and send traffic to your website is simple and can reap rewards fairly quickly. If you would like to get more in depth information about the wonderful world of video marketing I highly recommend downloading my Free Video Marketing report. If you want to see me rank a video live on Camera I recommend looking into my Tube Takeover Formula course which is a Live Case study where I took a brand new video in an evergreen niche, ranked it in 24 hours and made my first sale within 5 days. Josh you have just cleared what has been blocking me and you have made it simple. I am now good to go on video marketing. I have been poor in video marketing i always get stuck somewhere and now i know where. Thanks a lot Zamurai for this guide. I don’t think i need any other. You just made my day. Cheers man. Hey Gilbert! Glad I can help bud! Anything else you need let me know! I don’t think so. Nice post Didn’t knew many of them but now I know them thanks will follow some of them thanks for sharing. Video Marketing can be so affective if done correctly. Great post mate! Very helpful. I have been using various blogs to market my online business and get subscribers and it has been working wonders. Through Blogging alone I have gone from making $700 USD per day to $1800 USD per day, which is a massive increase when you think about it in terms of growth. I will soon be putting video marketing into practice to see how much further I can grow my income. Thanks Mate! When I’m using any new traffic source for list building I set up a new squeeze page specific for that source. With that squeeze page I use a unique optin form and I name it the source of traffic. 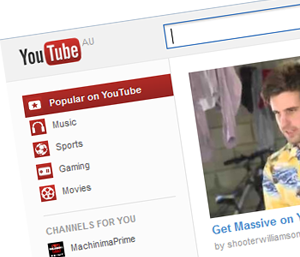 So if I’m using youtube I will name the web form youtube_niche so I know which video is bringing in the subscribers. When it comes to sales I know it’s coming from videos because a lot of the products I promote I do strictly with video marketing. Great post josh! Trying to use videos more and more in my business following this exact process! Thanks dude! Video is the way to go in 2013! Excellent article Joshua. Makes video marketing plain and simple with some great tips on “how to sell”. I really like the idea of “selling the click” as opposed to “hard selling” the product itself. Have recently started doing some web2.0 embedding and subsequent bookmarking and it has definitely helped traffic. Thank you Derek! Yea I find that a lot of people try to sell the product instead of just focusing on getting the click and let the merchant do the selling. Great article, but I would join Monja questions too. Video Marketing is getting more and more popular these days. I`m “visual” person and I prefer to watch and see than read and do it. Except where good screenshots are inserted between lines to show how and what to do. We cannot see any video of yours. By the way, I must agree that I do not like to be in front of camera. As a customer, it`s enough for me when someone give me good recorded Power Point presentation or tutorial. I cover the 3 types of videos I use in my course. Although I am shying away from showing people my videos because they tend to go after the same exact keywords as me. So I end up creating competition for myself and having to put more effort to keep my current videos rankings. I am the same way also I like to watch videos and see people doing things. That’s exactly what I do in my case study video training. Yes that is true Adam, for I prefer to make post like this of Wanda and Paula, even no video as long as all the required information is there, that would be Bingo for me. Thanks Wanda and Paula, this is but a nice post and this article helps. But wish to see your video though,lol. Continue sharing your excellent wits and God bless. You forgot to mention that your video will often be picked up by one or more of the numerous automated video scraping/curation sites out there giving you more backlinks and exposure. Also by varying the description (avoiding duplicate content) you can submit to numerous video hosting sites, I have had the same video appear up to 4 times on page 1 by doing this. To get a second bite of the cherry I usually try to annotate a link to another of my videos on the same or similar topic. Hey man! You are absolutely RIGHT! Although personally the only other video site ive used is vimeo. I don’t have too much experience with other videos sites so cant really comment. Thanks for stopping by dude! you’re the man! Question –hope you can enlighten me. I do product videos in You tube and for some time , I love it! I basically use slides with music on it. Since I am selling products, I get my photos from Amazon ( which you can do if you are an affiliate) and I do a video using the free Onetruemedia. Before, I never had a problem with it –I even reached page 1 in Google! Got some sales too! So I go to fiverr to increase my views. However, after a few weeks, You tube terminated my videos ! –and my account!They said I violated community guidelines. But when I asked them what specifically did I violate–is it photos? or music? ( bec I know I can use them because its free), they said ” they cannot give me a specific answer and just refer to community guidelines)–which means they cannot give me a specific answer. My questions is –do they terminate it because a competitor of mine sees that I am on top of the list? How and what an I do for them not to terminate it? Its very frustrating actually…I really want to use this video marketing because admittedly, its easy to reach page 1..but , my learning is –there’s no guarantee until when will you be there. Can I get your thoughts please? Which software you use to convert ppt into video format? We use Camtasia to record to record our Powerpoint videos. But I am pretty sure you can use Screencast-O-Matic to record Powerpoint. hi Josh, so if I hired people from fiverr to create backlinks for my video, Youtube wouldn’t detect this and delete my account? Because most of the services on fiverr provide thousands of backlinks for the video from various different sources (social media, wikisites, blog comments, etc). I know that if I did this for my money site, Google would penalize my site. Video marketing is soaring and apparently has gathered quite a fan following with entrepreneurs everywhere making a beeline for video production houses to make their corporate video. By the way great post! Keep up the good work! Such great information! Earning money online with videos is truly an artform and does take research and hard work, but once the formula is figured out it is worth it’s weight in gold! Thanks! You got that right Carissa. The more you do it the easier the research gets too. I can now pin point a great niche and keyword in a few minutes. I think I must start uploading video to Youtube now :) I am always looking for another way to make money online. Thanks for the tips and nice case study. You definitely should :) It’s a great strategy to add to your arsenal. Hi Josh, Great to see that you are still making a killing with video marketing! I’ve been using YouTube videos to drive traffic to my blog and grow my email list for years now and I love it. I make good money with AdSense from my YouTube channel also – just enough to pay some hosting fees and buy some gadgets. :) Great to see you here. I’ve seen some of your awesome videos. You are a ROCKSTAR! I think video marketing is the best marketing strategy today after all the updates done by google, and the increase on Youtube search, people find videos as good content, easy and more informative. You’re absolutely right Jossef. Things go much faster with YouTube as well. You can see results 10x’s faster than a website. Youtube is on fire these days! I haven’t really taken to it but I think I will in the coming days. Too much traffic yet to be captivated. Google gives and Google takes back. I love Google. haha you are right Ron. Google loves putting us through emotional roller coasters. Hi Josh, you’re written this quite well and congratulations for the success that you have been able to achieve with YouTube. I’m feeling all charged up and motivated to start using it and follow the advices suggested in this article. Congratulations and All The Best ! Thank you Riz. Glad I was able to motivate you. I’m definitely going to have to consider using YouTube videos, possibly to boost affiliate sales on some of my websites. Great write up with some things I would never even have considered in the past! Great article, but I would join Monja questions too. Video Marketing is getting more and more popular these days. I`m “visual” person and I prefer to watch and see than read and do it. Except where good screenshots are inserted between lines to show how and what to do. I’m the same way. Sometimes I rather watch a quick video. Other times I rather quickly skim the information for the points I’m looking for. Nice explanation Joshua, When youtbe was launched, I never thought that people will be able to earn from it and then we see lots of video like a two cute siblings, one cutting the finger of other, making such a huge mooney via youtube. bookmarking it. But you are right so many people making big money starting on YT. I have just done a couple of videos took a lot more effort than I thought but really enjoyed them. Just made a you tube channel and time to see it gets on. Great fun making them though. wow amazing way to earn money. can you give some more information about which types videos easy to earn…… thanks for sharing…..
Joshua, am big fan of yours! You nail it with this post. I have bough many courses on how to make money by promoting videos on youtube. Some are very expensive and I think that you just saved hundreds of dollars to the readers of this blog! Hi Johsua, great article on ranking you youtube videos.. Have you hear of using the caption file? What I do is download the cation file as an sbv file and edit it with my keyword added.. Save the file (try not to mess with the file format) then reupload it to your video and of cause name the file your keyword as well..
Great Tips. I have made several videos but not getting enough traffic. I will implement this tricks to make SEO Optimized Video. Thanks you for sharing.